Writers Abroad will publish the 3rd issue of its free online literary magazine in just over a week’s time, on 1st September. 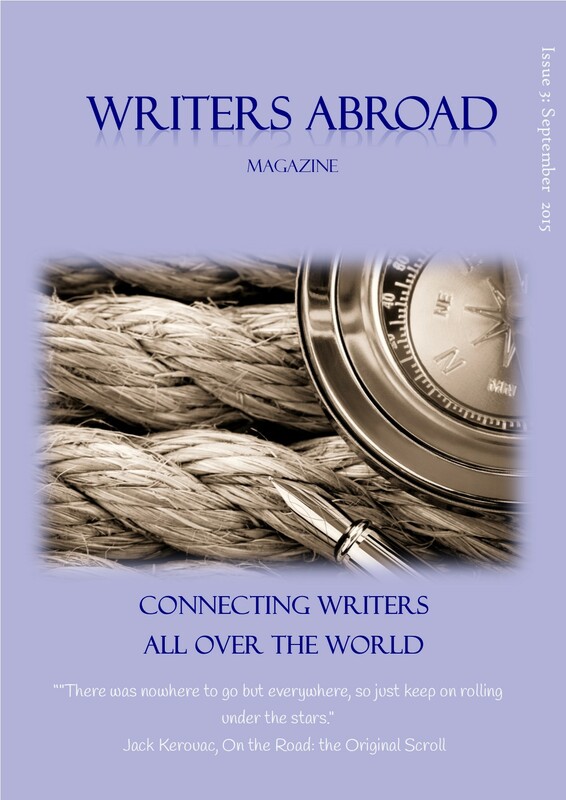 This twice-yearly publication has quickly established a reputation for fresh, interesting and entertaining writing from the members of Writers Abroad. You can sign up here for advance warning of this and future issues. It’s all absolutely free. And you can read the back issues here. Writers Abroad is an online community for ex-pat writers. We were established almost six years ago and our 17 current members come from countries all around the world. Between them, members have an impressive and varied record of publications and success in prestigious creative writing competitions. Issue 3 of our magazine contains fiction, poetry, non-fiction articles and author interviews. The mag also includes book reviews, recipes and photos, so there’s something for everyone. Most importantly, we remember two founder members of Writers Abroad, Jany Graf and Mary Davies, who sadly died within days of each other in June this year. Member Crilly O’Neill, who knew both of them personally, has written moving tributes in the magazine. We hope you will enjoy the varied range of content and we are always delighted to receive your comments and feedback. The magazine contains a link to a very short feedback form for this purpose. Our forthcoming, 5th anthology of short stories and poetry, Kaleidoscope, will be dedicated to Jany and Mary, and will be published on 12th October. Watch this space for further details. This entry was posted in Magazines, Writers Abroad and tagged ex-pat anthology, ex-pat writers, Flash fiction, Jany Graf, Mary Davies, non-fiction, poetry, short stories, Writers Abroad, Writers Abroad anthology 2015, Writers Abroad magazine by nessafrance. Bookmark the permalink.